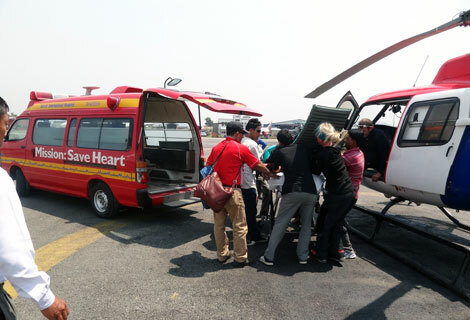 Rescue from Pangpuche Base Camp – Summit Helicopters Pvt. 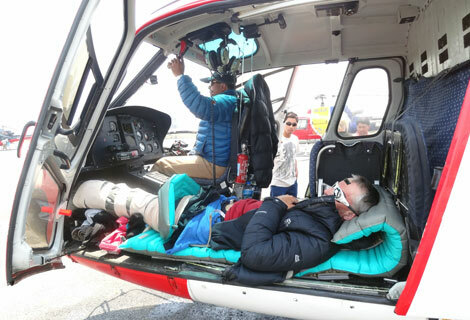 Ltd.
Mr. Bjorn Aage Myrer Hund was on his expedition towards Pangpuche peak when avalanche fell and he fractured his leg. We immediately took off from Lukla on our B3 without delay and rescued him from Pangpuche Base Camp to Kathmandu. Pangpuche is in Manasulu region, north east of Samdo. Captain Deepak and our newest additional crew Captain Maurizio Folini (from Italy) were flying the machine. We wish him the earliest recovery. Posted in: Company News, Med-Evac, Rescue Mission.